One of the best football sports games today is Pro Evolution Soccer (PES), with good graphics and complete features. PES has many features such as the Master League, Cup, League, Champions League, European League, World Cup, Euro and so on. In addition to the face of the player, movement, similar to the original That makes the PES Game very exciting to play. Pro Evolution Soccer can be played on PC-Laptop, Playstation, Xbox platforms. 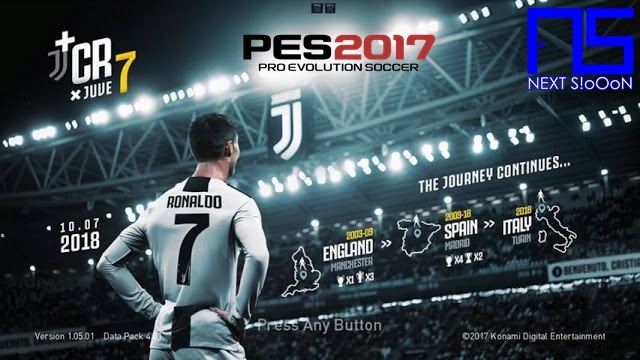 Every year there is the latest version of PES that is always updated, in the end of 2018 Konami released Pro Evolution Soccer 2019 (PES 2019), with real and clear graphics. The interest to play PES Games is huge, many people have installed PES Games on PC-Laptops, because besides being easy to install, it's also very easy to update players. You can Update Players to join Exchange Transfers using Patch Files. If other games use DLC or Expansion Pack, for PES Games that use Patch for Game Updates. 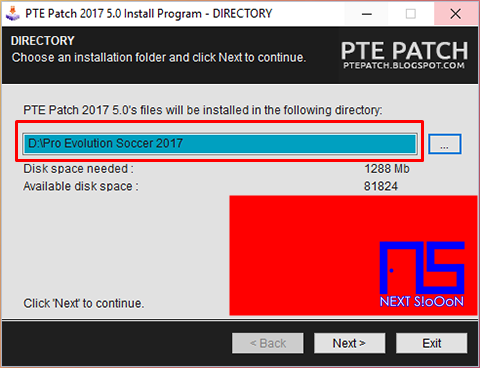 Suppose that on your PCs you have installed the PES 2017 Game with players, clubs, league versions in 2017. Some Promotional clubs that go up and clubs that are Degraded do not Update. With Patches you can Update Players, Club, and League based on the Latest 2019 by using Patch. If you prefer playing PES games with old players, you don't need to add patches. 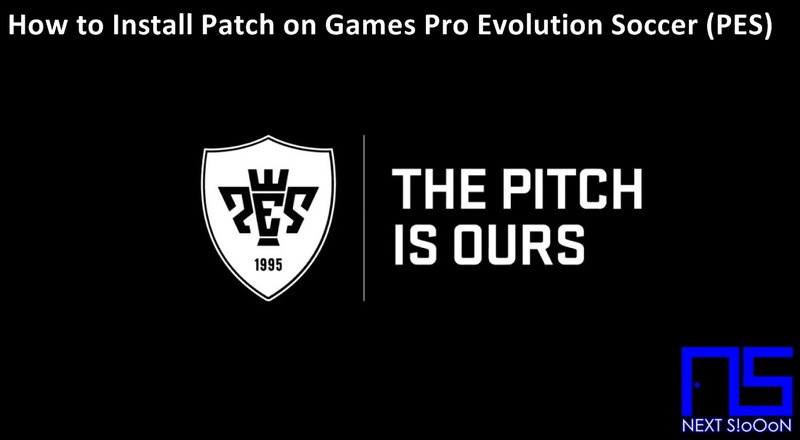 But if you want your PES Game to update based on the Latest Season like the original, then use Patch. The following is an example of using a Patch on the Pro Evolution Soccer (PES) Game on a PC-Laptop. 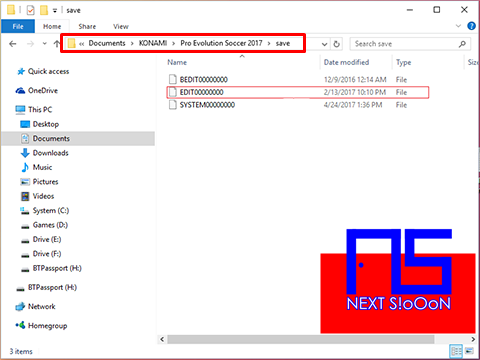 Example using Pro Evolution Soccer 2017, which is installed on my PCs. 1. Copy or Cut File "File Option"
Done, it's time to run the PES Game. That's how to install Patches on the Pro Evolution Soccer Game, may be useful. Thank you for visiting Next Siooon (NS). Keyword: How to Install Patch to Game Pro Evolution Soccer (PES), Guide to Install, Information on How to Install Patch to Game Pro Evolution Soccer (PES), How to Install Patch to Game Pro Evolution Soccer (PES), How to Install Patch to Game Pro Evolution Soccer (PES), Install, Game and Software on Laptop PCs, How to Install Patch to Game Pro Evolution Soccer (PES) Games and Software on Laptop PCs, Guide to Installing Games and Software on Laptop PCs, Complete Information How to Install Patch to Game Pro Evolution Soccer (PES) Games and Software on Laptop PCs, How to Install Patch to Game Pro Evolution Soccer (PES) Games and Software on Laptop PCs, Complete Guide on How to Install Patch to Game Pro Evolution Soccer (PES) Games and Software on Laptop PCs, Install File Application Autorun Exe, Tutorial How to Install Patch to Game Pro Evolution Soccer (PES) Autorun Exe Application, Information on How to Install Patch to Game Pro Evolution Soccer (PES) File Application Autorun Exe, Pandua Tutorial How to Install Patch to Game Pro Evolution Soccer (PES) Autorun Exe File Application, How to Install Patch to Game Pro Evolution Soccer (PES) Autorun Exe File Application, How to Install Patch to Game Pro Evolution Soccer (PES) Autorun Exe File Application with Pictures.